The housing market continues to be out of reach for first-time homebuyers, and some metros are significantly worse than others. 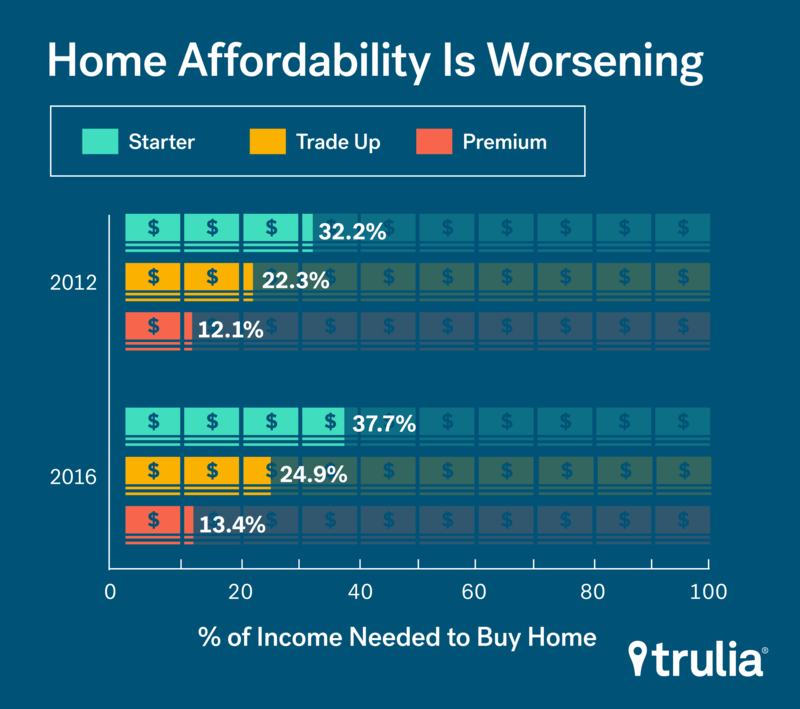 Trulia recently released its Trulia Inventory and Price Watch report that documents the affordability of starter homes, trade-up homes and premium homes. One of the biggest issues first-time homebuyers are dealing with a lack of inventory. 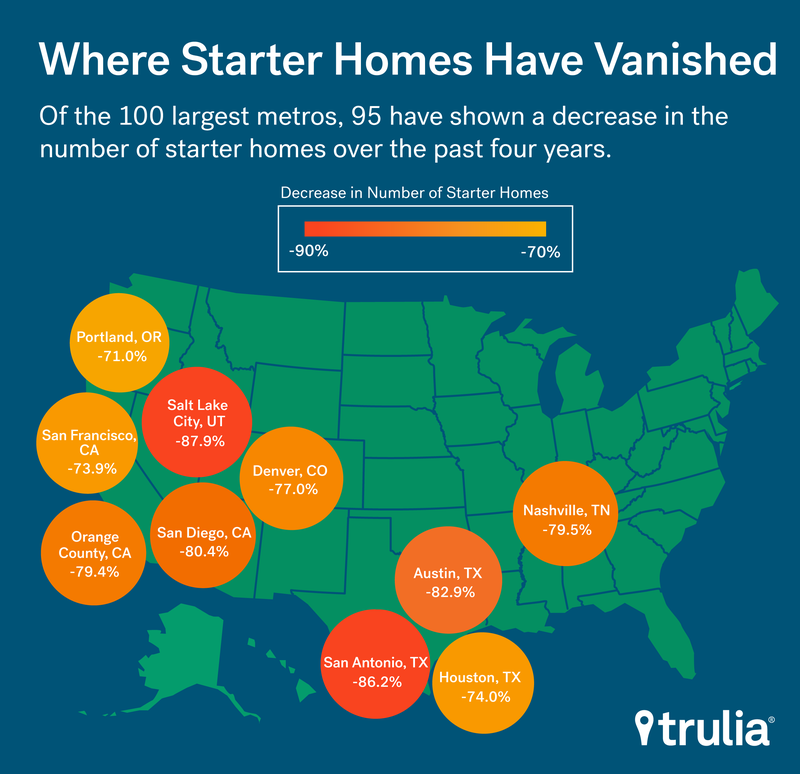 All three southern Texas cities– Austin, San Antonio and Houston– made the list for the largest decrease in starter homes. 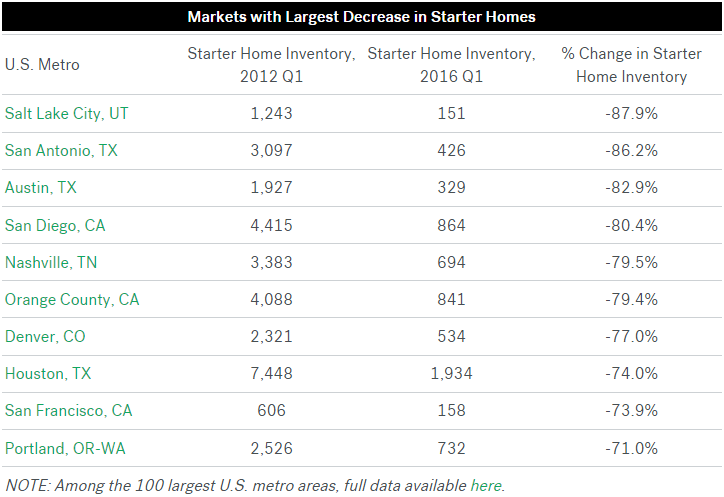 The metros saw a respective drop of 82.9 percent, 86.2 percent and 74 percent in starter homes over the past four years. Unsurprisingly San Francisco and Orange County made the list, with a decrease of 73.9 percent and 79.4 percent in starter homes. Overall, affordability is worsening throughout the nation. Premium and high-end homes are seeing the smallest change in affordability. Starter homes required 32.2 percent of income in 2012, and that figure has increased to 37.7 percent in 2016. Lucky for some homebuyers, starter homes are still within reach. 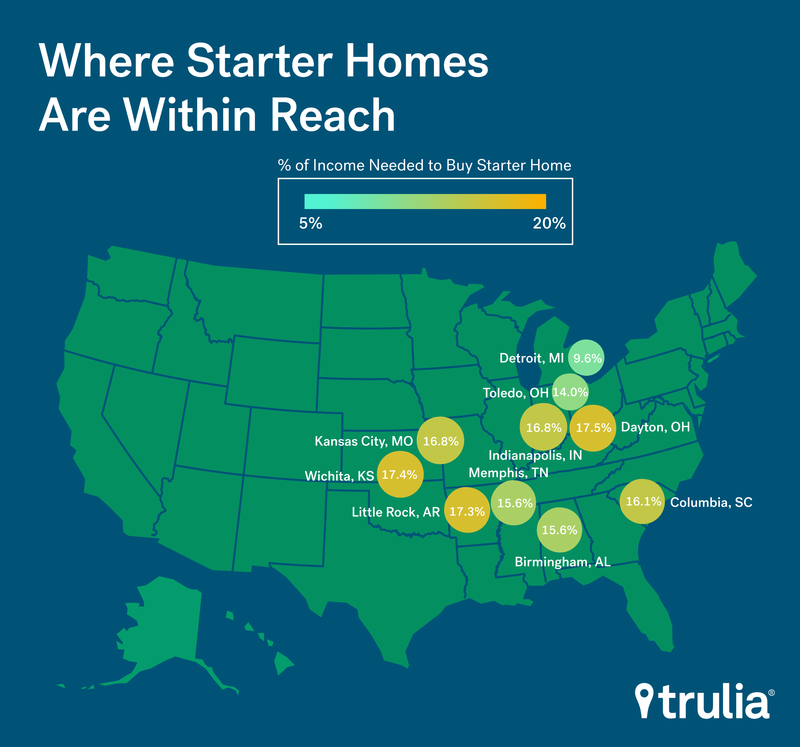 Concentrated in the Midwest, starter home affordability isn’t found any farther west than Wichita, and the only east coast city on the list is Columbia, South Carolina. New York Tri-State suffers longest commute in U.S.